Somewhat lost in the endless hubbub over the iPhone 4 antenna issue is the question that most of us had before the signal problem came to light: where are those white iPhone 4’s? …working out the perfect combination of paint thickness and opacity — the former to ensure the next sub-contractor has enough clearance for the digitizer overlay, and the latter for the absolute whiteness that Jony Ive and co. strive for. That is a perfectly reasonable problem to have. Manufacturing is both art and science, and when a product has to be made up to Apple’s standards, it is going to be difficult. The good news is that Apple expects the white gadgets to come out shortly. End of the story, right? Not exactly. As it turns out Lens Technology, the provider in question, lacks enough capacity to actually provide 100% of Apple’s demand. In fact, the company is rumored to only be producing phones at 50% of demand, thus becoming a clog in the pipe for Apple’s entire phone line. They might be the cause of both the white iPhone lag, and the generally tight iPhone 4 supplies everywhere. 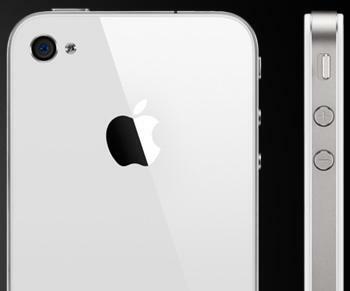 To condense: the white iPhone’s have had a color issue and will be coming late this month, but expect the iPhone 4 to be in very short supply for the next several months.